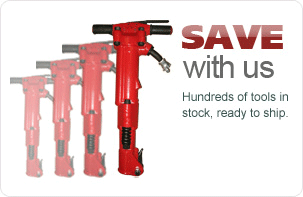 We specialize in hard to find industrial tools. If there is a tool that you are looking for and do not see on the site, please contact us. It may be in stock, or know where to find it. We offer a full repair facility and have thousands of parts in stock.